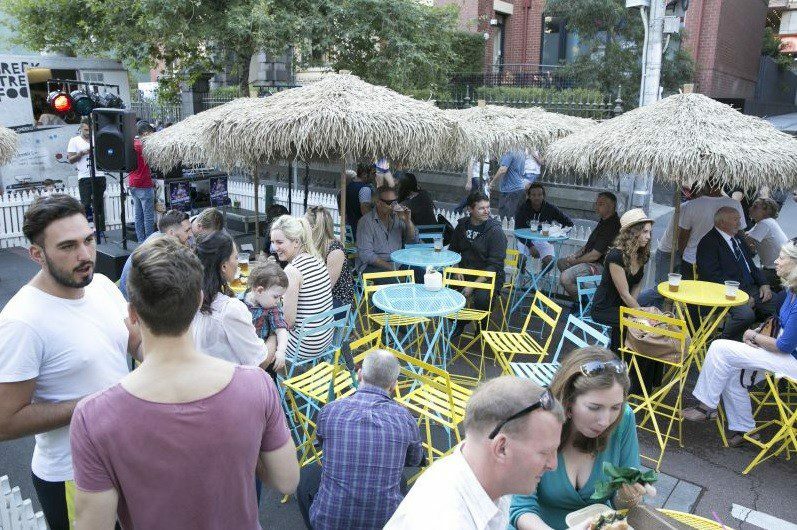 This weekend Melbourne’s Greek precinct will be transformed into a street party in a celebration of all things Greek and, of course, the Lonsdale St Festival’s 30th anniversary. 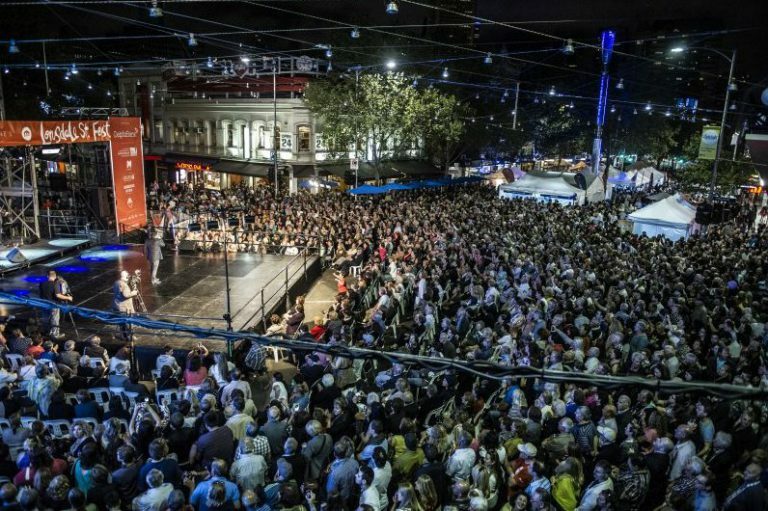 There’s no denying the festival’s evolution over the years, becoming more inclusive and a favourite among Greeks and non-Greeks alike, giving all Melburnians the chance to be ‘Greek for a day’, eating their souvlaki and downing a shot of ouzo while enjoying the impressive choreography of the Manasis dance group. “When the festival was first created, it was very much for Greeks to celebrate and hold on to Greek culture,” Penny Kyprianou, cultural programs manager at the Greek Centre, tells Neos Kosmos. 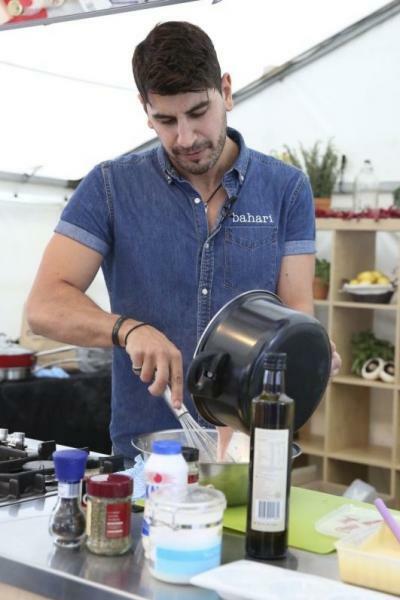 Which is in large part why the food component of the event has significantly expanded over the years to include over 60 food vendors, along with cooking demonstrations led by some of Australia’s best Greek chefs including Sweet Greek’s Kathy Tsaples and Bahari’s Philip Vakos. “Food is the one thing that spans all nationalities and I think people can embrace food, because food is culture essentially,” Ms Kyprianou says. “And for us, Greek food is synonymous with any Greek party.” A host of options will be available on the day offering both traditional dishes and something for those seeking a modern twist. Following on from the success of last year’s plateia-style set-up, a similar format will be adopted in 2017 along with the return of the festival bar, the perfect spot to sit and enjoy a Mythos in view of the AA Holdings Stage and soak up the atmosphere. “What we found is that people do want to stay on the street, they want to spend a bit of time, they don’t just want to pick up a souvlaki and keep walking. So we’ve made sure there’s plenty of seating in the centre of the street,” she says. Entertainment will be running across three stages from Russell through to Swanston Street, giving attendees the chance to get involved with the Opa-cize class or the Zorba ‘Til You Drop Competition, or sit back, relax and enjoy the talent on show. And while Ms Kyprianou assures the focus will always be on Greek music and dance, organisers this year are taking their message of inclusiveness one step further by encouraging cross-cultural performance, featuring a Greek Latin band, a Greek Italian ensemble and ethnic jazz. But there’s no doubt all eyes will be on the Delphi Bank stage on Saturday night, with Greek superstar Glykeria performing her greatest hits; a decision the cultural program’s manager admits was deliberate in seeking to make the anniversary a memorable one. “This will be the third time Glykeria has performed at the festival, so she’s very much synonymous with the festival for us. “She’s someone who appeals to different generations, and we’ve seen that with our social media campaign and how people have embraced her visit to Melbourne. So putting her on as our main act was very much a way of celebrating the 30th anniversary,” she says. 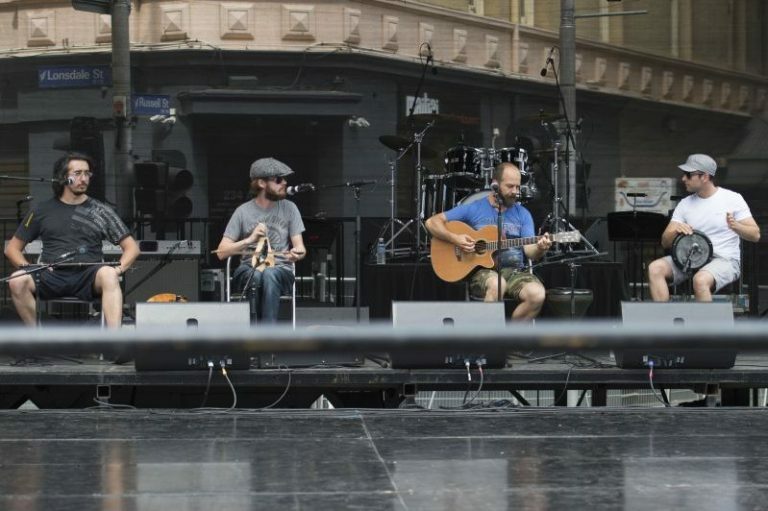 To further commemorate the milestone, there will be a second international act for the closing performance on Sunday evening by the talented Stratakis Brothers to end the festival on a high. So slip on your stretchy pants and bring a healthy appetite, because it’s going to be one big − and tasty − weekend. · The Charcoal Pit Souvlaki Bar has brought authentic Greek-style cooking to the Australian public for many years. They are fun, loud and, above all, love sharing great, tasty food with everyone. Their souvlaki meat is juicy and smokin’ − this can only be truly achieved with a Greek-style charcoal pit for spit roasting. · Cypriot Street Grill is famous for its pop-up stalls around Melbourne and catering services bringing their grandmothers’ soulful recipes to the masses. · G&S Food Services offers fresh fried tornado potatoes (chips on the stick) with a variety of flavours, high-quality coffee and soft drinks. The queue is always long so arrive early to make sure you get your tornado. · Goody’s Burger House is a contemporary fast casual dining experience, offering a variety of signature burgers, dishes, and delivered with superior service. The Greek business is the most popular fast food company in the Balkans, having received many accolades and quality stars. · Greek Street Food needs no recommendations. A food truck and store bringing Melbourne the food that is prevalent while roaming the streets of Greece. · Greek Trojan Yiros is so traditionally Greek it’s been dubbed “food of the gods” at the latest events across the city. Soft pitas with succulent lamb gyros, fresh vegetables and spices will make your tastebuds explode. · Metaxas Meats Melbourne is one of the leading spit roast hires in the Melbourne metropolitan area, catering for special events and BBQ needs, from supplying the BBQ spit roast, BBQ charcoal to a gourmet selection of the best marinated Mediterranean souvlaki or gyros in a choice of lamb, chicken, beef or pork. · Mr. Calamaro has made a name as a business with a passion for food and family. Using organic local products and suppliers, it stays true to its ethic and promotes sustainability, always looking for new ways to reduce its footprint. It even uses bio-degradable packaging and recycled oils. Its seafood burger is mouth-wateringly delicious and leaves your palate with a zest for more. · The Cypriot Kitchen is a family-owned and operated business that formed in February 2015 and focuses on cooking homemade Cypriot food for the people of Melbourne. All of Cypriot Kitchen’s products are handmade using their yiayias’ secret recipes. They currently trade at the renowned Queen Victoria Summer Night Market, open every Wednesday night until March 8, but they also do catering. · To Nostimo – BBQ’d Greek Food is Olga and Stavroula’s passion, combining a new and contemporary take on food with the old, country style and the traditional. The two cooks from Thessaloniki are renowned for their Asia Minor cuisine skills married with Mediterranean- influenced flavours. Their mamma’s homemade soutzoukakia is a must-try. · Two Men and a Lemon bring delectable seafood and seasoned fat chips to the mix. No one can resist their salt and pepper calamari or the signature seasoned chips. Have a crack at their gourmet salads and brown rice, and even if you want to keep your calorie intake low for the weekend make sure you don’t say no to their homemade lemonades. There are plenty of options for sweet tooths as well, with the likes of 196 BELOW bringing you the tastiest Nitro gelato. Liquid nitrogen at boiling point is -196 Celsius and when it’s mixed with gelato anglaise (ice cream liquid form) it instantly causes the sugar crystals to form into micro particles, instantly freezing it before you very eyes. This extreme action makes for a very smooth experience. · Absolutely Bananas selects the sweetest and most flavoursome bananas then blast freezes them to retain their goodness and flavour. What’s next? They hand-dip them in real dark chocolate before popping them back in the freezer, wrapped and waiting for you to enjoy. · Chooh LA LA will be there too to demonstrate its 400-year-old French artisan craft that is created with top quality Australian ingredients and presented in stylish packaging. A hearty sweet cooked on site is perfect for vegans, as it is all natural and gluten-free, heroing praline almonds, chouchou (peanuts) and macadamias. · Coco Fix is more than prepared to quench your thirst, bringing the best Nam Hom drinking coconuts to Australia. · Honey Dee is a family- owned food truck business, creating a fresh contemporary spin on classical hand-crafted loukoumades on the streets of Melbourne and Geelong.Traditionally topped with honey, walnuts and cinnamon or tweaked to suit your special occasion, you’ll be licking your fingers at every bite. · Ilias Katsapouikidis, better known as Ilias the Greek, will be there will his foustanella and baklava. Visiting his grandparents, two of whom are in palliative care, has brought many elements of his life into focus. He makes traditional Greek sweets and savoury dishes to sell at markets and festivals, as well as a few select stores. In everything he makes, there is a direct connection to his childhood in Kastoria. · Kalloni Little Dessert Island is the food truck catering to your sweet cravings with Greek-style waffles on a stick, cupcakes, muffins, coffees and milkshakes. · Mobile Ice Creams is also part of the Lonsdale bunch this year. It uses premium quality soft-serve mix that is whipped into the classic creamy flavour bringing back fond childhood memories roaming the streets of Melbourne. · In 1879, James Griffiths established one of Australia’s first tea and coffee distribution companies at 30 Flinders Street, Melbourne. With only three owners since its inception, Griffiths Bros. coffee roasters is proud to be Australian-owned and operated and to source and roast exceptional coffee available in over 800 cafes and restaurants around Australia and in supermarkets nationally. It will be at the festival as Oasis Coffee, offering that much-needed pump-up. · Slurp-It is unique in the sense that it is fully mobile and provides frozen carbonated beverages (FCB), aka slushies, anywhere in Melbourne. Normally, such products can only be obtained from stores but they can also do events. Let’s see how they cope with the Antipodes Greeks. · St. Gerry’s is a fresh and exciting modern spin on traditional world-sourced desserts. Its roaming food carts and stalls appear all over Melbourne venues including markets, shopping centres, street festivals and public events as well as other surprise pop-up locations. The doughnuts are bound to tantalise your tastebuds, as will made-to-order desserts in a range of modern and traditional flavours. · Last but not least, Sweet & Nut Shop, a family business that opened its doors in 1968, in the heart of Melbourne’s renowned Mediterranean precinct. It focuses on the celebration of Middle-Eastern cuisine and culture, providing the best quality produce and several Greek-inspired delicacies at the best possible price and offering customers a level of service that is truly exemplary.